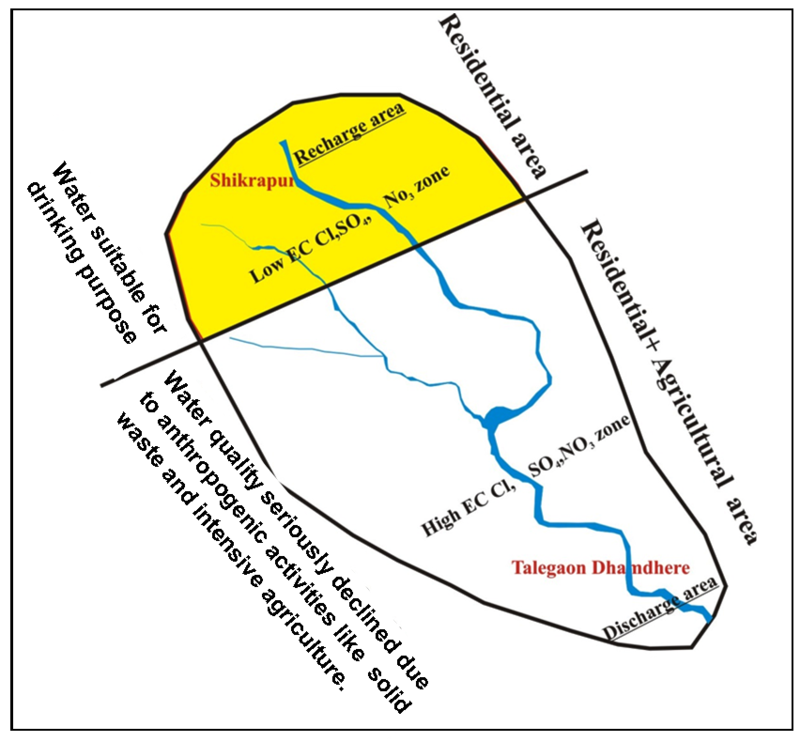 Thirty (30) groundwater samples have been collected during Pre-monsoon season-2015 to analyze the groundwater quality of Shikrapur and Talegaon Dhamdhare area. 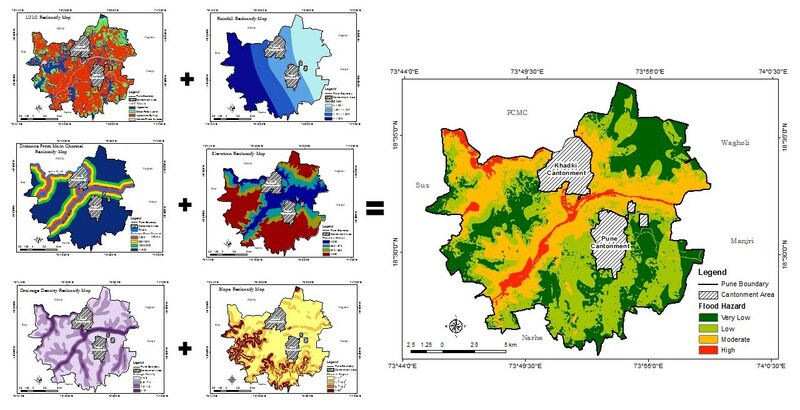 Maps were prepared for major physicochemical elements in groundwater and geomorphologic aspects using GIS and Remote Sensing techniques. Trend in cations is Na>Ca>Mg>K while in anions is Cl>HCO3>NO3>SO4. The average, Na+Ca representing 61.37% of total cations denoting major supply from weathering of plagioclase feldspar while Ca+Mg values, 67.92 % of cations contributed from olivine and pyroxene. Anions like Cl, SO4 and NO3 in groundwater is contributed from anthropogenic activities. The results were compared with WHO norms and found higher values for Electrical Conductivity (EC), Calcium (Ca), Potassium (K), Magnesium (Mg), Chloride (Cl) and Nitrate (NO3). Other elements show low to optimum values indicating good quality for drinking purposes, excluding some pockets from lower reaches. Regular quality monitoring for groundwater with rainwater harvesting is suggested to improve the quality of groundwater in the region. Abundance of the major ions in groundwater are: Na > Ca > Mg >K and Cl > HCO3> NO3> SO4. The sources of Sulphate (SO4) and Nitrate (NO3) are anthropogenic and their concentration is increasing in downstream part of the study area. The results show higher level of EC, Ca, Mg, K, Cl and NO3 compared to WHO norms. Regular quality monitoring of groundwater with addition of rainwater harvesting is suggested to improve the quality of groundwater.